Ahmedabad is the city that is one among those places settled in India that are seemed to be flooded with tourist attractions. 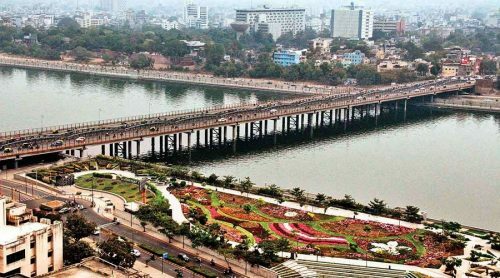 Recognized as the largest of all cities in Gujarat, Ahmedabad enjoys an esteemed reputation for being the most entertaining places of India. 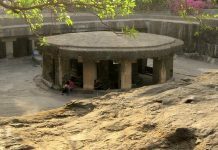 It is located at the bank of River Sabarmati. This tourism spot accommodates some of the popular textiles as well as pharmaceuticals industries. 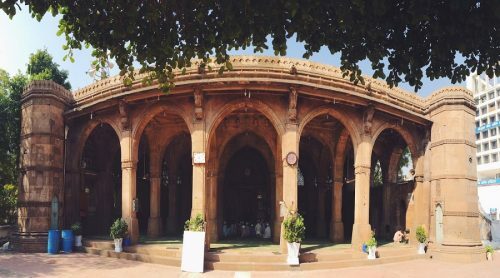 First and the foremost in the list to mention the Walled city, which is a prominent tourist attraction recommended to those who are traveling around Ahmedabad. This attraction favors the tourists to take a glimpse of the affluence of the ancient buildings that were made during the 18th century. 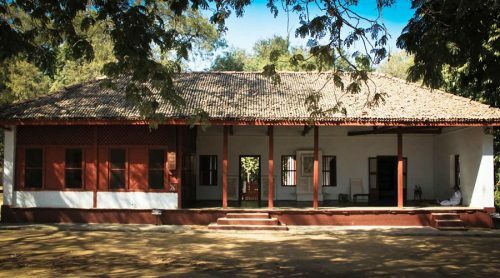 Ahmedabad features Gandhiji Satyagraha Ashram, yet another admired tourist attraction which got set-up in AD 1920. It is located on the lull western banks of the River Sabarmati. 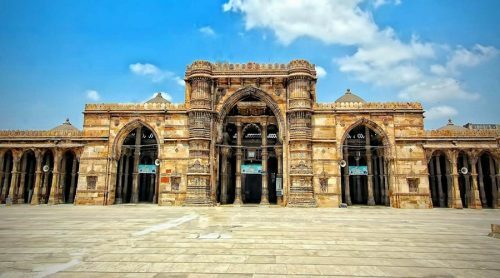 Moving to some of the religious attractions, the Mosque of Sidi Saiyad is must-see here in Ahmedabad. With its stone tracery and alluring patterns of the banyan tree on the windows, it throws a great impression keeping the visitors spellbound while praising its beauty. Another religious attraction which was built by Sheth Hathee Singh, in the year 1848 is the Hathee Singh Jain Temple. The temple sits just outside Delhi Gate which has a pure white marble construction. It comprises of 52 shrines, each having an idol of Jain Tirthankar. 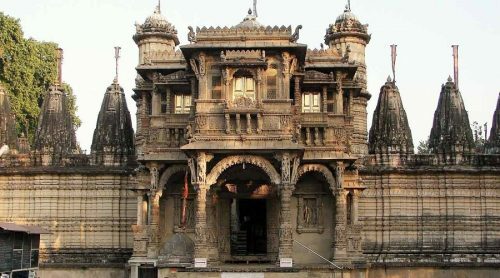 This famous tourist spot is located outside the Sarangpur Gate, and has got minarets. If one of them gets shaken, it leads to the vibration in another which is an impressive quality of the sight. 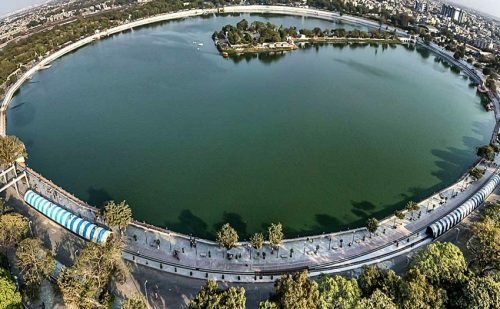 This is a circular lake that was constructed in AD 1451 by Sultan Qutub-ud-din. 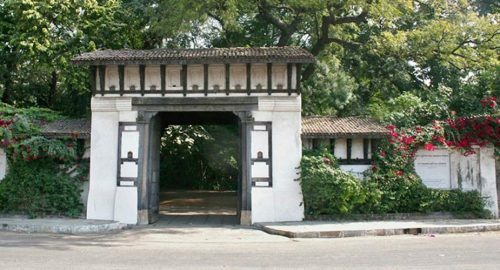 This lake handover a number of tourist places to the travelers such as island garden also known as Nagina Wadi, parks, a natural historical museum, a boat club, an aquarium, and a zoo. An all-in-one attraction for tourists who carry diverse interests!! 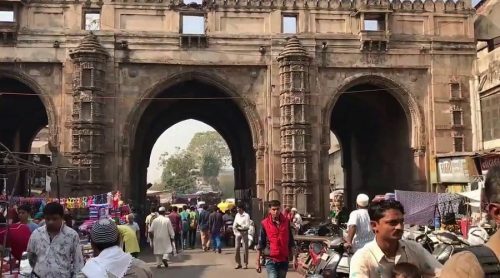 Also recognized as the venue for Republic Day and Independence Day celebrations held in Ahmedabad, Teen Darwaza of Ahmedabad accommodates a temple that is devoted to the Mother Goddess, Bhadrakal. When we count on some of the renowned museums featured by the city, this is the one stands on the upper edge. The Calico museum is a museum of fabric, yarn and textiles that was established in the year 1949. It is a result of the meticulous efforts of Ms Gira Sarabhai. This place dishes up some exclusive and attractive visit sites for wildlife lovers. 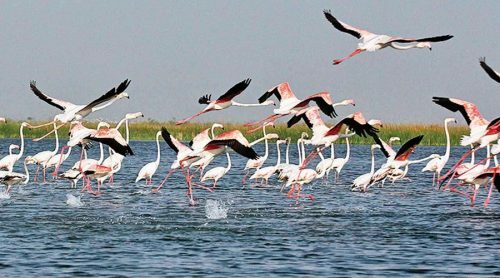 One of such is Nalsarovar, which is a 116 square km lake where from November to February, vast flocks of indigenous and migratory birds-ducks, pelicans, geese, and flamingos can be seen. This monument was built to commemorate Lord Swaminarayan and is an inimitable cultural complex located in Gandhinagar. 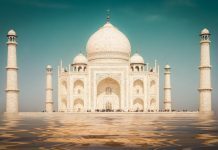 It is an intricately carved, regal monument that was constructed using 6000 tons of pink sandstones. Sounds interesting…no?? The monument was constructed without taking steel into use. Also, it consists of 7 feet gold leafed idol of Lord Swaminarayan along with his holy relics. Don’t miss out watching this place, if you are at Ahmedabad. Again something interesting for art lovers, it is gallery that is located in the campus of the Centre for Environment Planning and Technology. 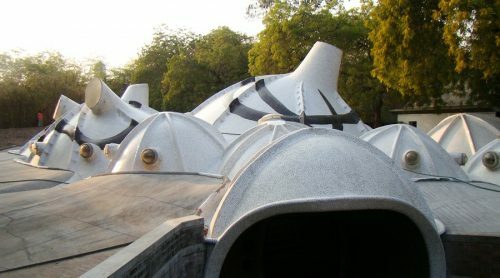 It houses the collaborative efforts of artist M.F.Hussain and architect B.V.Doshi. Here, where art and architecture seemed merged together and thus complement each other admirably. Art lovers can never ask for something more than this!! How can this be missed out from the must sees of Ahmedabad? One of the finest mosques in India that comprises of 260 pillars and supports 15 domes at different elevations, this religious attraction was built Ahmad Shah in 1423. It is settled in an easily accessible location which is in the centre of the old city. 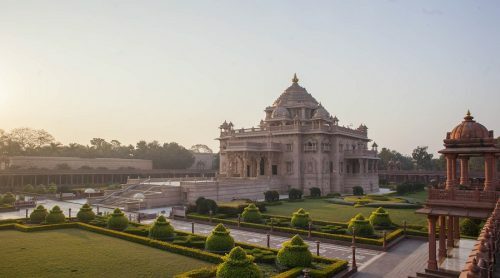 The other sites worth visiting in Ahmedabad are the Utensil Museum, Rani Rupmati Mosque, Shreyas Museum of Folk Art, Raj Babri Mosque, Rani Sipri’s Mosque and the Kite Museum. Counting on the major events to be attended in Ahmedabad, Navratri and Rath Yatra are the mains. Also, the city hosts the contemporary International Kite Festival which can be seen to enjoy something different and novel.